On the 22nd October 1707 the Isles of Scilly bore witness to the second worst disaster in the history of the Royal Navy. 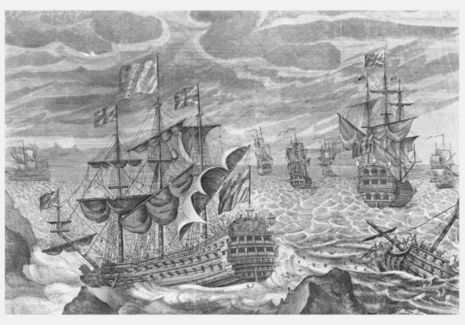 The British naval fleet, under the command of Sir Clowdisley Shovell, was returning from Gibraltar to Portsmouth during October 1707. Due to a combination of bad weather and the inability of mariners to accurately calculate their longitudinal position, the fleet lost its way approaching the Isles of Scilly. Subsequently four men-o'-war, together with the flagship HMS Association, were wrecked on the Western Rocks. 1450 men lost their lives, including Sir Clowdisley Shovell whose body was later washed ashore at Porth Hellick on St Mary's. The Association struck the rocks of Gilstone Ledges on the Scilly Isles well west of where Admiral Shovell believed his position to be. The Association lit lanterns to indicate her precarious position as she struck the rocks, then a short time later, nothing more of her could be seen. The seas had buffeted the wounded vessel until she disappeared beneath the waves. Two more ships followed her with the same chilling result. Ironically, very few sailors of that period had the ability to swim, otherwise the death toll might have been much less. On that horrible night, 2000 men, Admiral Cloudeley Shovell among them, lost their lives due to a simple navigational error. The sole survivor from the other three ships was George Lawrence, who had worked as a butcher before joining the crew of Romney as quartermaster. Sir Clowdisley Shovell´s name has become synonymous with an act of arrogant bloody-mindedness that led not only to his own death, but that of 1,500 other sailors. Whether that view is an accurate portrayal of his role in the 1707 disaster is hardly relevant. The fact is, rightly or wrongly, Sir Clowdisley has gone down in history as the man who lost HMS Association, plus Eagle, Romney and Firebrand. The exact number of officers, sailors and marines who were killed in the sinking of the four ships is unknown. Statements vary between 1,400 and over 2,000, making it one of the greatest maritime disasters in British history. For days afterward, bodies continued to wash onto the shores of the isles along with the smashed wreckage of the warships and personal effects. 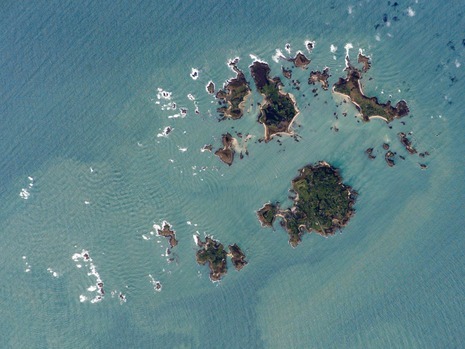 Many dead sailors from the wrecks were buried on the island of St Agnes. 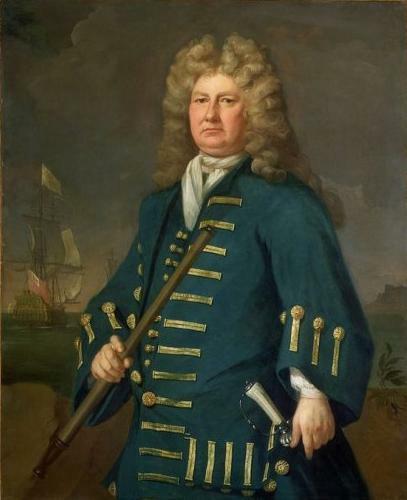 Admiral Shovell's body, along with those of his two Narborough stepsons and his flag-captain, Edmund Loades, washed up on Porthellick Cove on St Mary's the following day, almost seven miles from where the Association was wrecked. A small memorial was later erected at this site. The circumstances under which the admiral's remains were found gave rise to stories (see below). Shovell was temporarily buried on the beach on St Mary's (see image). By order of Queen Anne his body was later exhumed, embalmed and taken to London where he was interred in Westminster Abbey. 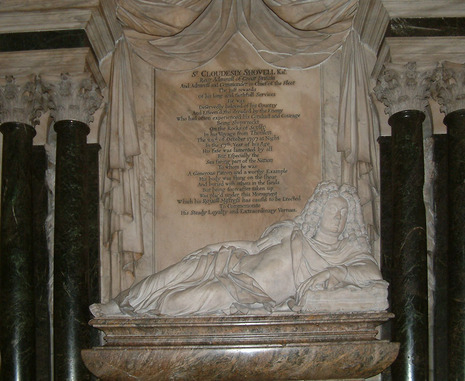 His large marble monument in the south choir aisle was sculpted by Grinling Gibbons.